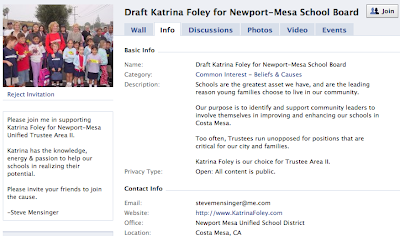 Out of the blue this week Co sta Mesa Planning Commissioner Steve Mensinger floated a message to his Facebook pals requesting that they join him in drafting Councilwoman Katrina Foley to run for the Board of Education Trustee Area II seat presently held by Michael Collier in November. In his typical bull-in-the-china-shop style, he didn't bother to ask Foley if she was interested before he launched this effort. Now, you must admit this really gets t he juices flowing. Collier's seat is one of four up for grabs this fall. School Board President Karen Yelsey, Vice President Walt Davenport and Trustee Judy Franco also must face the electorate. Holdovers this time around are Dave Brooks, Dana Black and Martha Fluor. If Foley decides to make a run for Collier's seat, so to speak, it creates some interesting scenarios for our November municipal elections. If she did run, and was successful, that makes for some interesting potential demographic shifts on the Costa Mesa City Council come December. Mayor Allan Mansoor is termed out - thank goodness for that - and we don't yet know if Wendy Leece will try to run for re-election - this time without Mansoor's coattails to ride. 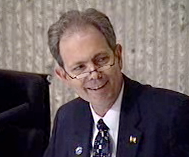 One must assume that our old carpetbagging buddy, Jim Righeimer, will run for Mansoor's seat. Remember, the perpetually inept Chris Steel ran nine times before he was finally elected. There might also be others who choose to enter the battle, especially if Leece decides to pack it in. Among the folks who logically jump to mind as candidates would be current planning commissioners Colin McCarthy and newbie Jim Fitzpatrick and commission Vice Chair, Sam Clark. Heck, Mensinger might be trying to clear a spot for himself, too, by touting Foley for the School Board. What about some of those folks who ran last time? Chris Bunyan, Chris McEvoy, Jeff Matthews, Bill Sneen and Lisa Reedy? Can we lure my friend, Bruce Garlich, back into the frey? Let's just say, for the purpose of discussion, that Leece runs and wins and Riggy also wins a seat in the election. 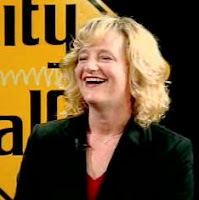 If Foley gains the School Board seat she must abandon her city council seat. 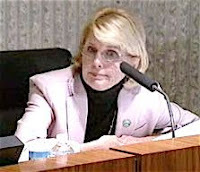 That means that, come January, the Costa Mesa City Council would be one body short, requiring either a costly special election or the appointment of someone to fill out the 22 months of Foley's term. I'm betting on an appointment, considering the financial condition of our city. I salivate like Pavlov's Dog when thinking about the wheeling and dealing that would go on between the four council members if that should happen. It would be a battle between the self-anointed "improvers" versus the developers. Talk about the clash of the Titans! W ould Gary Monahan try to appoint his pal, Matthews? Would Riggy try to appoint McCarthy? What about Mensinger? This is just too delicious to contemplate! OK, all you potential candidates, start thinking about what this fall might be like. What fun! And, lost in all my speculation, is Foley's impact on both elected bodies. I think her reasoned, articulate views and energy would be missed from the City Council dais. Her departure would eliminate any kind of balance on the council. 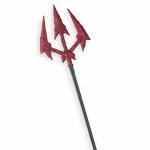 We would be governed with a perpetual right-hand turn on the tiller, which wouldn't be good for our town. She has not decided yet whether she will, in fact, run for the School Board based on my conversation with her today. However, I think she would give the stodgy, somnolent School Board some much-needed vitality and shake things up at a time when some shakin' is necessary. She's been active in school activities for seven years, including her current stint as Sonora School PTA President. She's tireless - I never had that much energy! - and would be an asset to the School Board at a time when fresh ideas and energy are essential. In his Daily Pilot column this week, Steve Smith - nanny to us all - ripped the scab off the dormant issue of the failed plan for the use of the city's Downtown Recreation Center basketball courts on Sundays by an outfit called the Aztec Basketball League. You can read Smith's column HERE. Let me refresh your collective memories on this subject. This whole thing began last May when the Recreation Division Staff brought th e subject of the Aztec Basketball League to the Parks & Recreation Commission for approval - although it was clearly within their purview to approve it without the commissioner's OK. The contract would have netted the city approximately $40,000 in revenue. The initial discussion proceeded very briskly and positively and seem likely to win approval until one resident - a man who is known internationally for his racist views, our old buddy, The Mouth From Mesa North - stood and raised the specter of marauding ex-cons and child molesters terrorizing the Downtown Recreation Center. 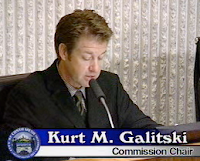 Then, when chair Kurt Galitski ma de a motion to approve the proposal, the other four commissioners looked like they had turned to stone - not a peep! No second was made, so the motion died and the potential for nearly $40,000 in much-needed dollars was lost to the city coffers. Then, in response to community outcry, the following month Vice Chair Mike Brumbaugh brought the issue back for consideration and it was approved, although "provisionally", until the staff could prepare a Request for Proposals to see if there might be other "bidders". Then, municipal court jester Eric Bever, brought the subject before the City C ouncil in July because he was worried that this league might be placing undo wear and tear on the basketball court! It's hard to imagine a more laughable, bogus reason, even from Bever. He also wanted to negotiate a higher rate, although the applicant - Army Staff Sergeant Rigoberto Bautista - had already agreed to paying our highest rate! It was at this meeting where Mayor Allan Mansoor, citing potential confusion by Costa Mesa residents who might want to participate but would assume it was a league for Latinos only, extorted the promise from Bautista to change the name of his league to the "Costa Mesa Sunday Basketball League". 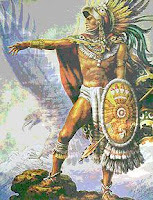 Apparently the word "Aztec" conjured up too many memories of Benito Acosta for him. The city and Mansoor were still in the middle of the civil lawsuit filed by Acosta and the ACLU. This episode may well be the most egregious of the many su ch events in recent city history that demonstrate what I have referred to in the past as "bias from the dais". At every turn city officials threw up barriers in front of Sgt. Bautista - a decorated Marine and Army veteran and recruiter - and every time he met their unreasonable demands with dignity and compliance. They may be no better example of how the racial agenda of one man in this city has affected the way our elected leaders conduct themselves, as they march to his tune and cost our city money and stature among the community of cities in our region. Today I spoke with Sergeant Bautista at his job in Santa Ana where he works as an Army National Guard Recruiter. I wanted to know what happened last summer after it appeared that the city had finally approved his use of our Downtown Recreation Center gym for his basketball league. As I suspected, Sgt. Bautista finally just gave up after all the hassles he experienced. His job required him to travel for a couple months late last summer so he couldn't attend any further meetings required by the city. He found a temporary home for his league on the far west side of Santa Ana - almost in Fountain Valley and Garden Grove - where it will be conducting it's championship tournament this week. Personally, as a resident of Costa Mesa, I'm ashamed of the way Sgt. Bautista was treated by our elected and appointed leaders last year. Bautista served this country for a dozen years as a Marine, then became a recruiter for the Army National Guard and will soon complete his 16th year of military service for our country. He formed the Aztec Basketball League and has operated it for several years in Santa Ana without problems. He has been a good and valued tenant for the city. Santa Ana bent over backwards to find a temporary venue for Bautista until the new gym is ready in April. 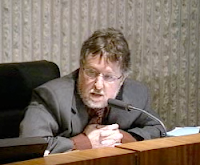 Costa Mesa elected officials, on the other hand, did everything possible to mak e him feel unwelcome. While the city staff was working hard with Bautista to make a deal for the use of the Downtown Recreation Center court, our elected and appointed officials were listening to our racist laureate, The Mouth From Mesa North, and his unfounded rants about ex-cons and child molesters that would be invading our city. People have pooh poohed my suggestions that he calls the shots in this city. Well, this is a perfect example of exactly how he affects the agenda in our town. Until he stood before the Parks and Recreation Commission that May evening they seemed ready to approve our deal with Bautista. His rant before them completely turned them around. 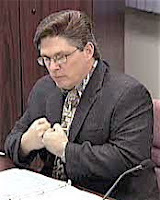 Only the public outcry that followed the meeting prompted Brumbaugh to bring the issue back for a re-hearing. Shame on our city for it's treatment of Bautista and his league. Shame on Mayor Mansoor and his cronies for allowing their personal racial bias to deprive the city of almost $40,000 in much-needed revenue. And, shame on them for demonstrating to the world once again that the City of Costa Mesa is a bastion of intolerance, where the agenda is driven by one man - an internationally notorious racist. 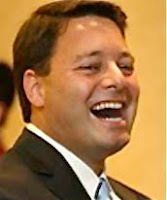 Shame on them all and shame on us, the voters of this city, for electing people of such low character to public office. In my previous post, responding to Colin McCarthy's Daily Pilot commentary from last weekend, I affirmed his view that the housing situation in Costa Mesa is upside down. We have more rental units than owner-occupied units in our city. Questions have been asked in the past about our current situation and how it compares to our contiguous neighbors. Well, courtesy of our friends at Yahoo! Real Estate, here's a chart which shows those numbers. 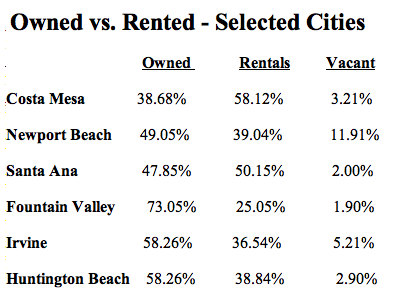 As you can see, Costa Mesa's ratio of rentals to owned units is far and away the most out of whack. You can go to the site yourself, HERE, and tinker with the "location" to get numbers from other cities for which you may have an interest. I'm not sure how relevant it is, but Costa Mesa, among those six cities, is the only one with more single residents than married. These numbers don't provide any solutions, only emphasize the issue. If McCarthy can come up with a creative - and legal - way for us to flip those numbers so they more closely align with some of our neighbors he deserves kudos. In the meantime, the parts of the graffiti equation that we actually CAN work on - enforcement and intervention - should be a priority for our leaders. On Saturday the Daily Pilot published a commentary by Costa Mesa Planning Commissioner Colin McCarthy, HERE, in which he bemoans the graffiti problem in our city and outlines his view of "solutions". While accurate, McCarthy's observations are not new - we've heard the same laments in this city for more than a decade. McCarthy places the needs in three categories - Enforcement, Prevention and Planning. 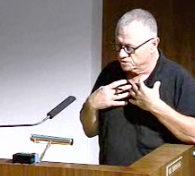 He suggests a tougher anti-graffiti ordinance similar to one passed in Santa Ana which nails the parents of offending graffiti artists and taggers for the clean-up costs and penalties. PREVENTION - WHAT ABOUT INTERVENTION? He, correctly, postulates that prevention is an important element in the control of graffiti. He did not use the word "intervention", though, which was disappointing. The current council majority has already let us know, loud and clear, that they don't think intervention should be part of the solution. 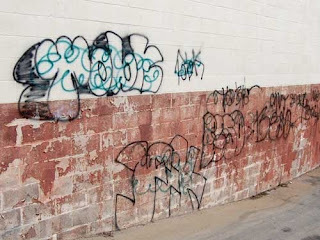 Mayor Mansoor and his cronies feel that enforcement alone should be the solution to graffiti in Costa Mesa, despite the fact that every credible expert on this issue states the opposite view. This is just another example of the prevailing philosophy on the council dais that refuses to be influenced by facts once they have their narrow minds made up. CAN HE CONVINCE THE COUNCIL? It will be great news for our city if McCarthy, using all his lawyerly skills, is able to convince members of the council majority that intervention is an important element in reducing graffiti. However, if by ignoring intervention in his commentary, he has joined the council majority view, that is not good news. Until we take positive action to provide alternatives to tagging and graffiti for our young folks, this plague will continue to affect our city. "GRAFFITI NOT A LATINO PROBLEM"
His final category, Planning, is very interesting because he states, "Graffiti is not a Latino problem or a Caucasian problem; it's a housing problem. Graffiti festers and spreads near our high-density rental housing." He goes on to address the fact that our city is upside-down from a housing standpoint, with too many rental units when compared to owner-occupied homes. This is not a new observation. It's one that Mansoor and others have complained about for years - even though, ironically, Mansoor is a renter in this city. Well, that comment got the attention of one of his Mesa North neighbors - the guy I refer to as The Mouth - who posted a lengthy tome on his blog once again re-stating HIS solution. That solution is to plow under the apartment buildings that he, and apparently McCarthy, feel are the problem. The Mouth has, for years, ranted and raved about what he calls "slums" in our city and has used the metaphor of draining the swamp (eliminating the apartment houses) so the alligators will leave. Those "alligators" are the members of Costa Mesa's Latino population - roughly one-third of our residents. MC CARTHY AND "THE MOUTH"
I don't want to demonize McCarthy by lumping him with The Mouth philosophically. My opinion, supported by his writings and actions, is that The Mouth is a flat-out racist who will only be happy when the last non-white person leaves our city. I give McCarthy the benefit of the doubt when it comes to associating him with his neighbor - until he demonstrates otherwise. I don't disagree with McCarthy's assessment of the problem, but kind of expected more from him in the way of solutions. Since he's a lawyer who works in the real estate arena, I hoped he might have some new light to shed on how we might legally shift the renters vs. owners imbalance in our city. I suspect that, as long as apartment owners associations continue to pump campaign dollars into local elections it's going to be difficult to actually make the changes. If part of the solution is to rid our city of apartment buildings, that requires lots of money. We need to buy the property and also pay huge relocation fees to the current residents. In these difficult financial times, that's just not going to happen. And, because of the current trends in housing, I expect a greater demand for rental units as opposed to owner-occupied housing in our city for years to come. In my opinion, the only real solutions available to us are a tightening of our graffiti ordinance and enforcement thereof AND the establishment, with the school district, of a solid intervention program to re-direct the energies and artistic urges of those young people currently or contemplating tagging. Or, now that we've got Wendy Leece's motto, "In God We Trust", hanging on the wall behind the dais in the council chambers, maybe we can just depend on divine intervention to take care of the graffiti problem.